"A Conference in Analysis" was held at The Ohio State University in Columbus, Ohio, from Tuesday, October 12, 1999 through Saturday, October 16, 1999. The purpose of the conference was to bring together distinguished mathematicians in a number of areas of analysis such as Complex Analysis, Harmonic Analysis, Operator Theory, Partial Differential Equations, Banach Spaces, and Approximation Theory, with young researchers and graduate students. 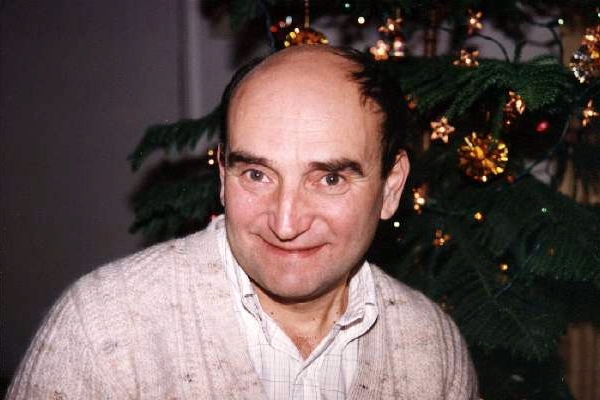 The conference topics are closely related to the research subjects which our friend and colleague Boris Mityagin has studied during his forty year long mathematical career. The speaker were Yuri Brudnyi, Ronald A. DeVore, Alexander Dynin, Per Enflo, Ciprian Ilie Foias, Theodore W. Gamelin, Evgenii A. Gorin, William B. Johnson, Thomas Kappeler, Yitzhak Katznelson, Boris Korenblum, Anatolii Kostioutchenko, Vitali Milman, Nikolai K. Nikolski, Sergey Novikov, Alexander Pelczynski, Vladimir M. Tikhomirov, Dietmar Vogt, Alexander Volberg, Vyaceslav Zahariuta, and Nahum Zobin. The list of particpiants is given here. The conference was supported by funds from the Institute for Mathematics and its Applications at Minnesota, the International Mathematical Research Institute at Ohio State, and the National Science Foundation. Subject to availability of funds, we provided partial financial support for some of the participants. Priority was given to [North American based] graduate students and recent Ph.D.'s. Those who wished to be placed on the e-mail list of the conference should have sent a message to nevai@math.ohio-state.edu. Up-to-date information was [and will be] be posted on this web page. N.B. All the talks were held in the 7th floor lounge of the math department [MW 724], and they lasted approximately 50 minutes each. "golden years" of Moscow mathematical school. economical ideas of F. Ramsey. Note:  Notify Paul Nevai concerning special diet such as kosher/vegetarian/etc. The participants are allowed to use Telnet on the Macintoshes which can be found in our departmental computer rooms in MW705, MW 605, MW 505, MW 405, and MW 305. These rooms are kept locked but the participants may ask our colleagues to unlock these rooms for them. It is imperative that after using the computers, our guest make sure that the doors are closed and locked. We provide absolutely no technical support although our guest may ask anyone who is willing to show them how to start up Telnet. It is basically a no-brainer job, and it only requires elementary skills and the knowledge of the name of one's regular computer in conjunction with one's normal user name and password. FYI, the coldest/warmest between between 10/12 and 10/16 was 24F/90F [-4C/32C] in 1987/1939. Limited free parking is available at Fawcett Center which is less than a mile away from our Department. There is plenty of paid parking on the Campus, but, alas, it is not easy to find one which is unoccupied. If you were promised [partial] payment for your conference related hotel expenses, please see Ms. Radcliff [see below] during the conference, and please provide her with the relevant information such as copies of our correspondence where it is described the kind of support you will be given [if you are a speaker then this is unnecessary], hotel info, and so forth. If you were promised [partial] payment for your transportation, please see Ms. Radcliff during the conference and show her your ticket. Ms. Radcliff will need your home address and, maybe, your SSN or passport number. Please ask her directly about the information needed. Ms. Radcliff will consult the organizers how much to pay. Eventually, if we are to reimburse you for some of your expenses, you will receive a check sent to your home address. If you don't get the monies within a reasonable period of time, say 6 weeks, then please consult Ms. Radcliff. Please keep in mind that if we pay your hotel directly then it will be significantly cheaper since there will be no sales tax. Nevertheless, if you wish, we can pay directly to you the amount we promised you. The organizers will be busy doing many things during and after the conference, including teaching their classes and attending the lectures so that they will have very little time if any at all dealing with matters of financial nature. Hence, all financial issues must be addressed directly to Ms. Radcliff. On the other hand, Ms. Radcliff will deal only with financial matters so please do not ask her for any other favors. Holiday Inn on Lane (1-614-294-4848) set aside a block of rooms at a discounted rate of $79 [reference: Functional Analysis Conference]. Contact Daren Lehman (darenlehman@holidayinnosu.com). The hotel is about 0.5 mile (0.8 km) northwest from our department. They have complimentary transportation to and from the airport. Cross Country Inn, North (1-614-267-4646 and 1-800-621-1429). The rooms are about $58 to $66 [+ they have an approximately 9% AAA discount]. This motel is about 2.2 miles (3.5 km) northwest from our department (there is a free Campus Bus service every 15 minutes, and it is a short walk from the hotel to the bus stop). Ramada University Hotel (1-614-267-7461 ext 653) offers complimentary transportation to and from campus and the airport. Contact Betsy Robinson (ramadaosu@aol.com). Ask for the special rate of $79 (Mathematics - LMA). This hotel is about 2 miles (3.2 km) northwest from our department (there is a free Campus Bus service every 15 minutes, and it is a short walk from the hotel to the bus stop). Red Roof Inn (1-614-267-9941 and 1-800-843-766) is about $65 per room. This motel is about 1.5 miles (2.4 km) northwest from our department (there is a free Campus Bus service every 15 minutes and the motel is next to the bus stop). Victorian Bed & Breakfast (1-614-299-1656) is at 78 Smith Place which is about 1 mile [1.6 km] south from our department. The [very spacious] rooms are about $60 to $85 depending on the number of occupants. This place is also a short walking distance from the downtown area.